The first hour is low-scare for youngsters. Flashlights are allowed inside for the first hour only. 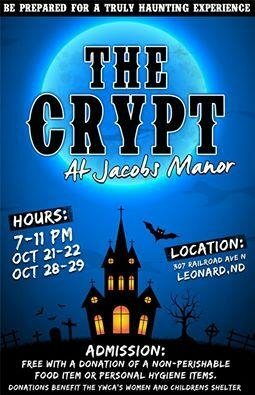 Tour includes Haunted Farm & Crypt at Jacobs Manor. Bus leaves from Speck's Bar.